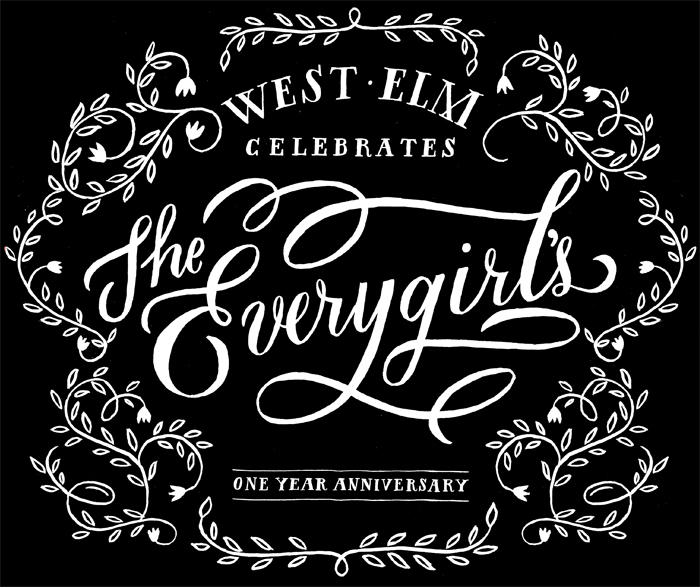 Congrats to The Everygirl on their one year anniversary coming up! I was so happy to have been asked to do the hand lettering for their event. Will you be attending their anniversary celebration next week? Sign up for The Everygirl's mailing list to receive info throughout the week.